Test plan models, speculative fitouts and a display suite reposition a Sydney icon. Futurespace has a continuing relationship with Grosvenor Place owners to assist in developing their marketing strategy for the iconic building. Grosvenor Place is implementing ways to adapt and respond to growing tenant demands and increasing competition from the emergence of new A+ grade office towers. Futurespace has created test plans demonstrating best practice for three differing work styles; Activity Based Working floor plan with various agile work settings, traditional floor plan that is more suited towards the legal sector comprising mostly of offices, and a workplace with trading floor that is designed for the financial services sector. A display suite was designed and fitted for Colliers to take potential tenants and showcase the building. The 100m2 display suite was fitted with furniture and joinery complementing the architectural design and aesthetics of the building. 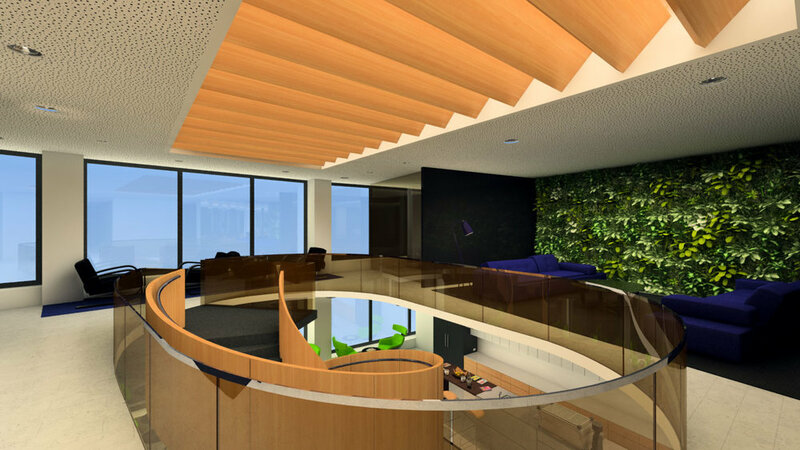 The brief was to create three speculative office fitouts to showcase different design styles and tangibly show prospective tenants how they can potentially use the space. A range of furniture and finishes set the fitouts apart and best practice design principles are applied to each. These fitouts offer Grosvenor Place management benefits resulting in the spaces being leased very quickly. Futurespace also assists Grosvenor Place Management with test plans for specific potential tenants. Futurespace has designed numerous workplaces for organisations across various sectors at Grosvenor Place.